Below you can view all the homes for sale in the The Mills At Rocky River subdivision located in Concord North Carolina. 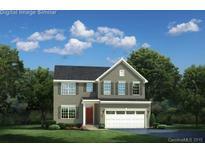 Listings in The Mills At Rocky River are updated daily from data we receive from the Charlotte multiple listing service. To learn more about any of these homes or to receive custom notifications when a new property is listed for sale in The Mills At Rocky River, give us a call at 704 604 8836. No need to sacrifice style for sensibility in your new Lehigh. MLS#3496003. NVR Homes, Inc./Ryan Homes. Schedule an appointment and move in to your new home this August. MLS#3496013. NVR Homes, Inc./Ryan Homes. The upstairs laundry room offers convenience and accessibility. Welcome home! MLS#3496011. NVR Homes, Inc./Ryan Homes. MLS#3493071. NVR Homes, Inc./Ryan Homes. MLS#3493066. NVR Homes, Inc./Ryan Homes. MLS#3493045. NVR Homes, Inc./Ryan Homes. 3 Piece Plumbing Rough-in Basement, sliding Glass Door Walkout Basement MLS#3493053. NVR Homes, Inc./Ryan Homes. Schedule an appointment and move in to your new home this August. MLS#3491968. NVR Homes, Inc./Ryan Homes. 4 spacious bedrooms with the option of a 5th bedroom on the main floor. MLS#3490907. T. R. Lawing Realty, Inc.. Finish the basement with a full bedroom, full bathroom, wet bar and separate storage room, or, have fun in a spacious recreation room with a separate storage room. Welcome home! MLS#3492001. NVR Homes, Inc./Ryan Homes. Schedule an appointment and move in to your new home this August. MLS#3491958. NVR Homes, Inc./Ryan Homes. Schedule an appointment and move in to your new home this July. MLS#3491951. NVR Homes, Inc./Ryan Homes. Schedule an appointment and move in to your new home this June. MLS#3489561. NVR Homes, Inc./Ryan Homes. buyers agent to verify all information for buyer. MLS#3489381. ProStead Realty. Call us for details. Look at 3D link MLS#3484571. My Townhome. Seller to pay $4000 in closing cost with our lender! To be built. MLS#3483071. NVR Homes, Inc./Ryan Homes. Special financing incentives available on this property from Sirva Mortgage MLS#3481583. Wilkinson ERA Real Estate. Schedule an appointment and move in to your new home this June. MLS#3481671. NVR Homes, Inc./Ryan Homes. Seller to pay $4000 in closing cost with our lender! To be built. MLS#3477423. NVR Homes, Inc./Ryan Homes. MLS#3477046. NVR Homes, Inc./Ryan Homes. MLS#3477055. NVR Homes, Inc./Ryan Homes. MLS#3477036. NVR Homes, Inc./Ryan Homes. MLS#3475285. NVR Homes, Inc./Ryan Homes. 3 Piece Plumbing Rough-in Basement, Double Patio Door Walkout Basement MLS#3472554. NVR Homes, Inc./Ryan Homes.